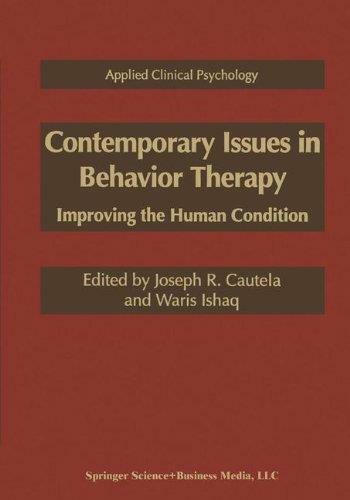 Contemporary Issues in Behavior Therapy presents innovative approaches to various societal problems worldwide. 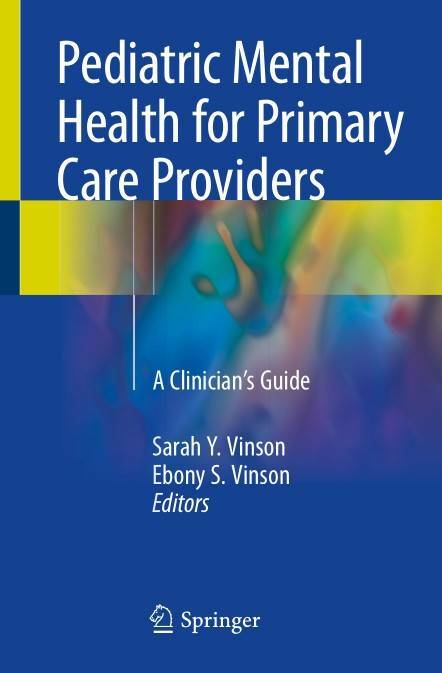 Contributors explore issues from diverse areas such as behavioral medicine, education, developmental disability, poverty, problematic behavior, and developmental considerations (ie., early family experiences and aging process). 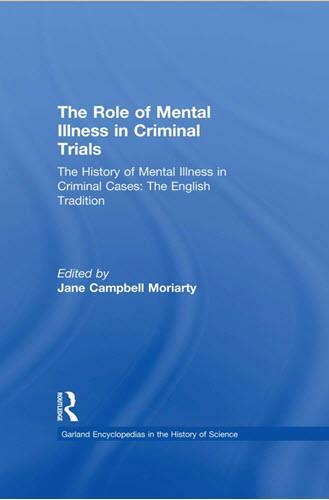 The volume stimulates ideas for research, prevention, and treatment, as well as for managing other modern ills including homelessness, crime, and aggression. The past quarter-century has witnessed a dramatic upsurge of violent crime in the United States and abroad. In this country, the rise in violent criminal activity has been consistently documented in such published accounts as the Uniform Crime Reports and the Statistical Handbook on Violence in America, published by the FBI and the Vio­ lence Research Group, respectively. Further, social scientists-particularly those working in the fields of sociology and psychology-have provided a convergence of findings attesting to the magnitude of one of today’s most significant social problems: domestic violence (e. g. , spouse, child, and elder abuse). Such efforts have served as the impetus for heightened clinical and investigative activity in the area of violent be­ havior. Indeed, a wide range of mental health experts (such as psychologists, psychi­ atrists, social workers, counselors, and rehabilitation specialists) have endeavored to focus on strategies and issues in research and treatment for violent individuals and their victims. 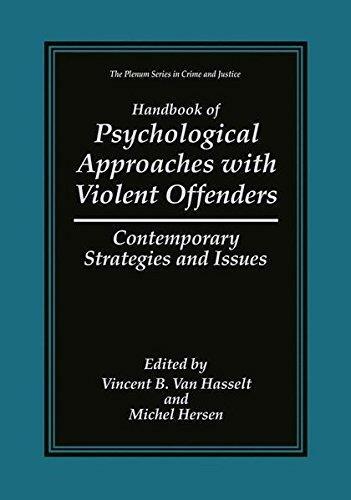 The purpose of this book is to provide a comprehensive and timely examination of current psychological approaches with violent criminal offenders. 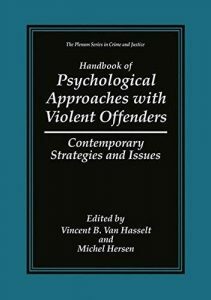 Despite the fact that we continue to have much to learn about perpetrators of violent acts, in recent an increasingly large body of empirical data have been adduced about this years issue. However, these data generally have appeared in disparate journals and books. That being the case, it is our belief that such a handbook now is warranted. 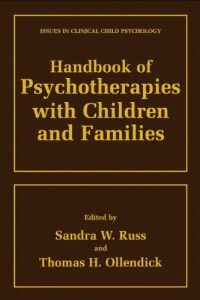 The aim of this book on psychotherapies with children and families is to present a comprehensive overview of the current array of intervention approaches in the child mental health field. There is a focus on the integration of theory, research, and practice throughout the book. The book proceeds from the more global pre­ sentations of basic theoretical approaches to applications of these approaches with specific problems and populations. It then presents more integrated intervention approaches and overviews of the research literature. One of the unique features of this book is its focus on future directions for each approach, both in clinical prac­ tice and in research. A second unique feature is its structured format across di­ verse approaches with a focus on empirical validation of approaches. Another innovation is the presentation of interventions that integrate major components of different theoretical approaches. 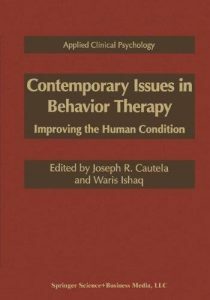 Thus, the book reflects the current trends in the field of interventions with specific problems and populations, empirical valida­ tion of the approach, and the integration of treatment approaches. There are five major sections in this book. 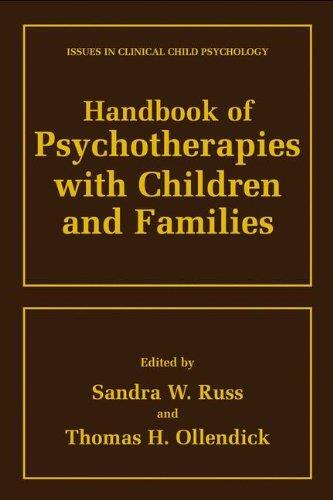 Part I consists of four chapters that address a variety of issues related to child psychotherapy. 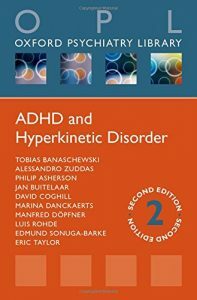 Chapter 1 by the editors examines the historical roots of child psychotherapy and explores current trends in the treatment of diverse child disorders. It emphasizes the movement to “treat­ ments that work” and sets the stage for the chapters that follow. 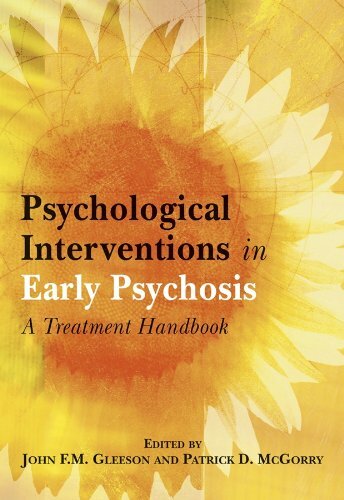 “Psychological Interventions in Early Psychosis” provides a comprehensive overview of the emerging research and clinical evidence base for psychological treatments across the phases of early psychosis. 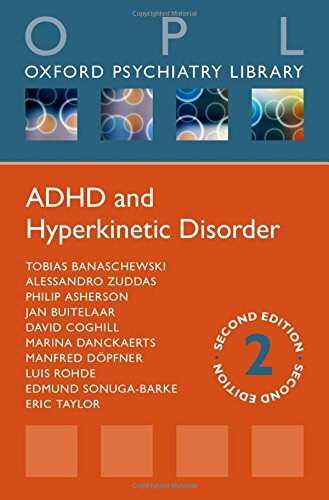 Beginning with identified at risk young people, the text continues through to those in acute and recovery phases, to the needs of patients with persistent symptoms. 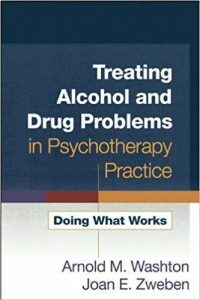 This practical treatment handbook: draws upon the expertise of several internationally recognised clinical and research programs; integrates reviews of the relevant research literature with illustrative case examples; covers critical issues for the clinician in focal chapters on suicide prevention, comorbid cannabis abuse, and family work; and, describes several modalities of treatment, such as multi family psychoeducation, group work, psychodynamic and cognitive behavioural approaches. Specialist early psychosis services are developing rapidly worldwide. 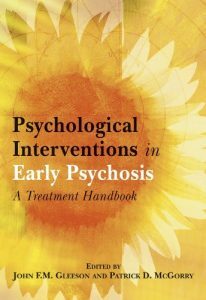 “Psychological Interventions in Early Psychosis” will be an essential resource for clinicians and service leaders alike. 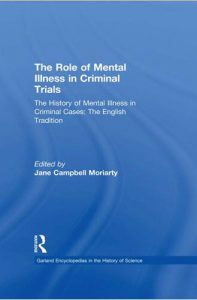 This collection reprints in facsimile the most influential scholarship published in this subject area. 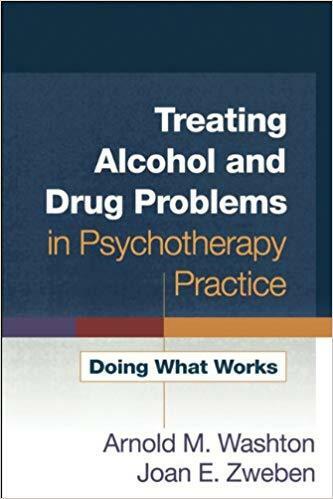 Written specifically for the office-based psychotherapist, this practical guide describes how to detect, assess, diagnose, and treat clients presenting with a range of alcohol and drug problems. Detailed is an integrated, flexible psychotherapeutic approach that emphasizes building a strong therapeutic relationship, engaging clients “where they are,” and addressing substance use within the larger context of their lives. 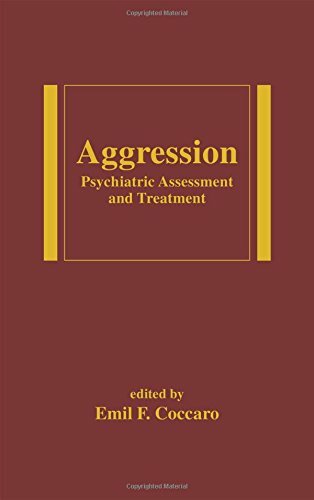 The authors describe in very pragmatic terms how to use a combination of motivational, cognitive-behavioral, 12-step, and psychodynamic techniques with clients in different stages of change. Techniques are brought to life with numerous case vignettes, and appendices include reproducible client forms and handouts. 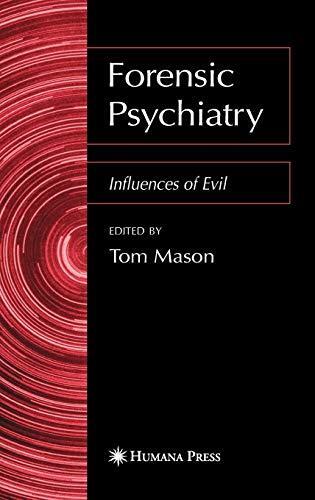 Examines the idea of evil in a medical context and a mental health setting. 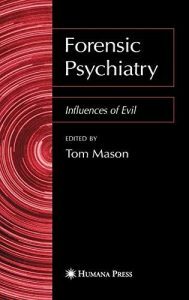 This book attempts to challenge the belief that the concept of evil plays no role in scientific psychiatry and is not helpful to our understanding of aberrant human thinking and behavior. 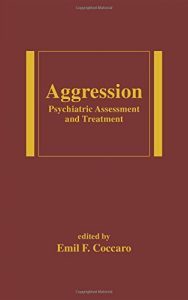 It provides research methods for psychological exploration of the notion of evil.